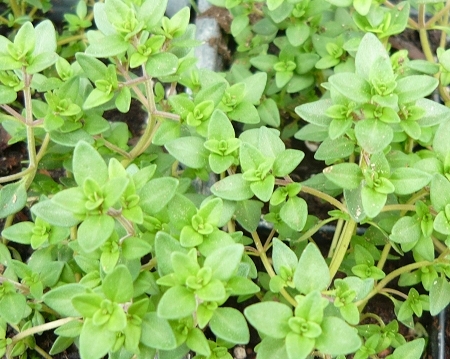 Most widely used culinary thyme variety. Also called "winter thyme" and sometimes "german thyme". Broad green leaves and strong growth habit. Nice in hanging baskets or containers. Perennial zones 4-9. Live starter plant in 3 inch container.